At the K&A Users Forum on 23rd April 2014, Waterway Manager Mark Stephens agreed that he would speak to Wiltshire Council about re-instating the boaters’ rubbish bins at Devizes Wharf, where there is an Elsan disposal point, pump-out and water tap. However, enquiries last month by boater and journalist Bob Naylor elicited a statement from CRT’s contracts manager Richard Harrison that there are no current plans to re-instate the bins. Mr Harrison claimed that the bins were pushed into the canals ‘on occasions’ and that the ‘vast majority’ of the rubbish was from the general public and not from boaters. 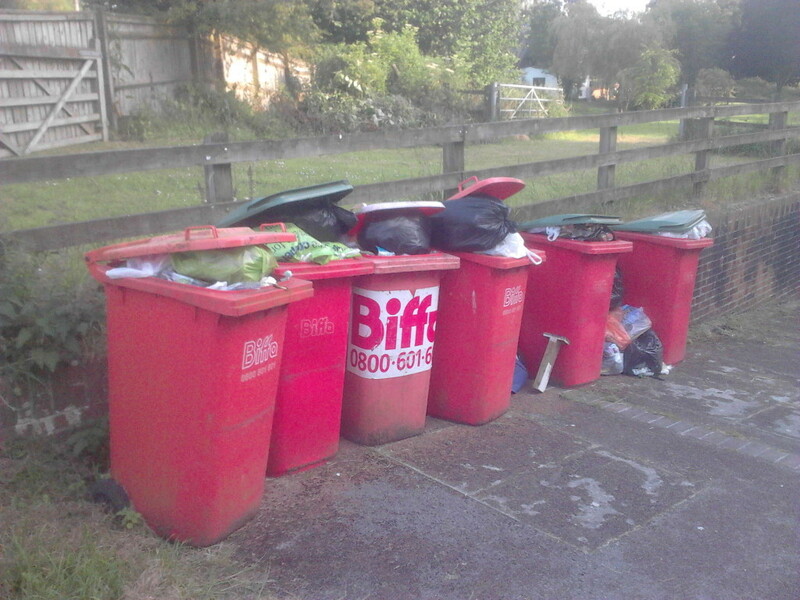 In addition, there is still no sign of the re-instatement of rubbish bins in Hungerford. But the point at issue was the disposal of everyday waste of the type that the Council collects from the home of Ms Rotherham or any householder. Boaters dispose of a similar amount of waste and with very few recycling opportunities along the K&A they are likely to produce more. This entry was posted on Wednesday, October 22nd, 2014 at 4:52 pm	and is filed under News. You can follow any responses to this entry through the RSS 2.0 feed. You can skip to the end and leave a response. Pinging is currently not allowed.